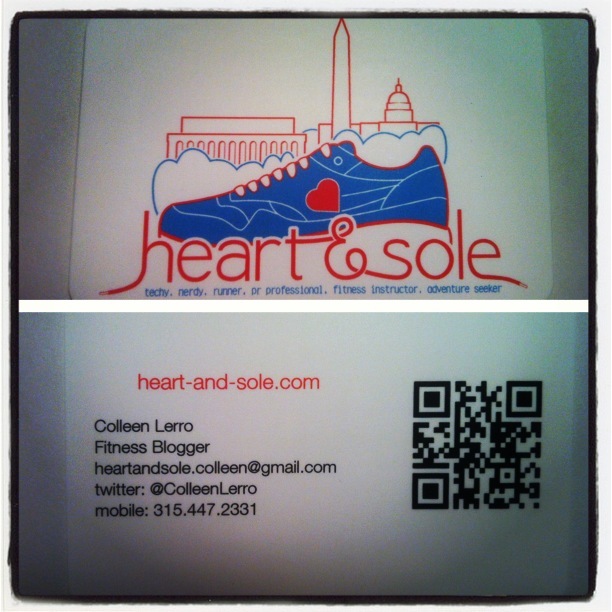 Thanks to Moo.com, I’ve got some shiny, new business cards for my blog. So official, haha! I can’t wait to take them with me to FitBloggin’13 next month in Portland. Moo’s website was so easy to use and within half an hour I’d designed my new business cards. You can choose from a wide variety of templates or create your own from scratch, which is what I did. The only issue I had was with the QR code, which didn’t work correctly when I first got the cards. I tested them out late at night after a long day at work the day after we’d made a long drive back from Syracuse, so this caused a bit of a minor meltdown. Thankfully Ian came to the rescue making a call to Moo the next day while I was at work, and it turns out they have pretty amazing customer service. They let me redo the QR code, reprinted my cards and shipped new ones to me at no cost! I will definitely be using them again. On another note, still looking for suggestions on things to do and see/eat and drink while in Portland? I’ve been told to try Voodoo Doughnuts, which turns out is half a mile from my hotel, so I’ll be sure to fit that in. Other recommendations? I was lucky enough to get a FitBloggin assistanship meaning I get to go to the conference for free in exchange for live blogging one of the sessions on their website. My session is How to Create a Media Kit that Showcases Your Brand and Gets Companies Knocking on Your Door. I think this will be a really interesting topic, so I’m excited to not just cover it for their site, but also learn more about it. The schedule is jam-packed with great educational sessions and fun early morning fitness classes. I wish I could go to them all. It’ll be tough deciding which ones I plan to attend, but I’ll be sure to give a full recap here of all the sessions I make it to! Have you ever been to a blogging conference? What did you think? What would you like to learn at FitBloggin? Let me know if you’re going this year too! Ian will be making the trip with me as well and we’re planning to spend a couple extra days in Portland. Neither of us have ever been there and have heard great things about the city, so we thought it’d be fun to explore. Any sites/restaurants/etc. that we should definitely put on our list while there? Last weekend I took a Washington Photo Safari class at the National Museum of the American Indian. I’ve previously taken their Monuments & Memorials and Monuments at Night safaris and absolutely loved them both, leaving with a much better knowledge of how to use my DSLR camera. This class, Canon Rebel DSLRs: Practical Use Digital SLR Photography, did not disappoint. I bought my Canon XSi a few years ago since I love taking photos and wanted to be able to do more than I could with my point-and-shoot. I also had a big trip to Ireland coming up in a few months that I couldn’t wait to bring the camera on. I quickly learned that just having a nice camera didn’t guarantee great pictures, so I started taking various classes. Between the photo safaris and a digital photography class Arlington County offered I learned quite a bit, but after some time of not using my DSLR for awhile, it was time for a refresher. Two of my biggest takeaways from this Photo Safari class were metering and white balance. I learned the difference between evaluative metering, center-weighted metering and spot metering, which is extremely helpful when you’re trying to take a picture of someone that’s backlit. From now on I’ll make sure no one appears like a dark spot in front of a bright background in my shots. I’ve learned to use the different white balance settings several times before, but it had been awhile so I’d gotten back to keeping my camera on the auto white balance setting. I understand again when it’s best to use each setting and even better, now know how to create custom white balance settings for any situation I’m shooting in. I’m certainly no expert, but I love taking photos and learning new ways to take better shots creating some great lasting memories! Below are two sets of pictures. The first set shows the same picture taken with two different metering settings and the second set shows the same picture shot with two different white balance settings. There’s been a lot of news coverage in recent years about cutting the cord and getting rid of cable as people get increasingly frustrated with higher prices and poor service from cable providers. Some say that more people than ever are cutting the cord while others maintain that not that many people actually do it. Well I am an avid TV-watcher and I actually cut the cord several years ago. Three-plus years ago now I moved into my current apartment and Comcast was the only choice I had for a cable provider. After experiencing the wonder of Fios at my old place I wasn’t thrilled about going back to Comcast, but I didn’t think I could live without cable either. Right during NFL playoffs and the beginning of college basketball season, my high-def cable box broke. I was told I could wait two to three weeks for a technician to come and replace it, or I could take it to a Comcast office for a replacement myself. I chose the latter, but the new box they gave me wasn’t so new. In fact, it was a standard-def box and it only worked in black and white. The final straw was the customer service representative’s suggestion that maybe this wasn’t so bad as it could be “fun and old-fashioned like.” Comcast might say it cares, but I don’t buy it. I cancelled my cable right then – and you know what – I haven’t missed it at all. I have an RCA digital antenna that brings in the networks plus the CW, Ion, a variety of weather channels and a Spanish soap opera channel, all in high-def. I subscribe to Netflix’s streaming service and just recently replaced their DVD service with Hulu Plus. I stream Netflix, Hulu or Amazon videos straight to my TV through a Roku box. Instant Netflix is great for movies that have been out for awhile and watching an entire series of TV shows I missed the first time around. Hulu is like having a DVR. I subscribe to all my shows that I watch on a regular basis and they’re queued up waiting for me to watch them one day after they originally air. 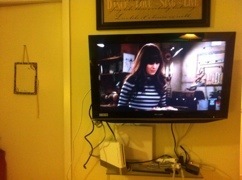 I also can catch shows on my laptop or iPad and can connect both to my TV via HDMI cords. That still doesn’t cover sports and as a big sports fan that’s something I certainly couldn’t live without. I cheat a little on this one and use my sling box for live sports that aren’t on network TV. My parents got the sling box for me back in college so I wouldn’t miss Syracuse games that were only broadcast locally. I keep it at their house and can watch their cable TV anywhere I have an Internet connection. ESPN3.com is also making it a lot easier to view live sporting events over the web. I also use the sling box for shows like AMC’s Mad Men that I can’t get online – or at least not during the season. Occasionally I’ll buy an episode of Mad Men on iTunes also as yet another option. There is some initial investment for devices, although I was fortunate to get most of mine as gifts, so adding them to your Christmas list is always an idea! All told, I now spend between $16-25 a month on various services and TV or movie rentals, and three years after cutting the cable cord I can’t imagine going back. After almost five years, my career with CEA came to an end a few weeks ago. It was my first “real-world job” and was a great first job. I was fortunate to work for two awesome supervisors during my time there – both named Meg(h)an – who taught me the ropes of working in the world of communications, and were both genuinely good people. I received a lot of great opportunities like getting to be an on-camera spokesperson either at CES or during a satellite media tour while hopping from a bike to a treadmill promoting fitness technology. I got to write a lot and learn to work with media and member company representatives. 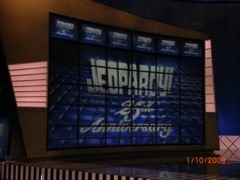 I had the chance to travel the country including NYC, Maine, Chicago, Las Vegas and California. I went to the International CES five times. All good things must come to an end though, and it was time for me to move out of the familiar world of consumer electronics and on to a new challenge. I accepted an offer to work as a communications manager for the Biotechnology Industry Organization (BIO). I’m working with two of their sections: Industrial & Environmental and Food & Agriculture. Knowing very little about biotechnology I have a lot of learning to do, but I’m really excited about the new challenges and new experiences ahead. I love how smart and nice everyone there is and think its going to be a great move for me! I originally planned to write about my take on the iPhone 4S announcement tonight, but after hearing the news of Steve Jobs’ death that just didn’t seem right for tonight. Right now I’m catching up on TV shows using the NBC app on my iPad, I’m reading through the various Steve Jobs tweets and tributes on my work iPad and I’m typing up this post on my MacBook. I’ll be the first to admit I’m completely addicted to my iPhone. I wake up every morning to music coming from my original iPod nano and I have a second nano (the first one can’t hold a charge anymore) for pumping music into my ears while I’m working out. You might say that I’ve drank the Apple Kool-Aid. 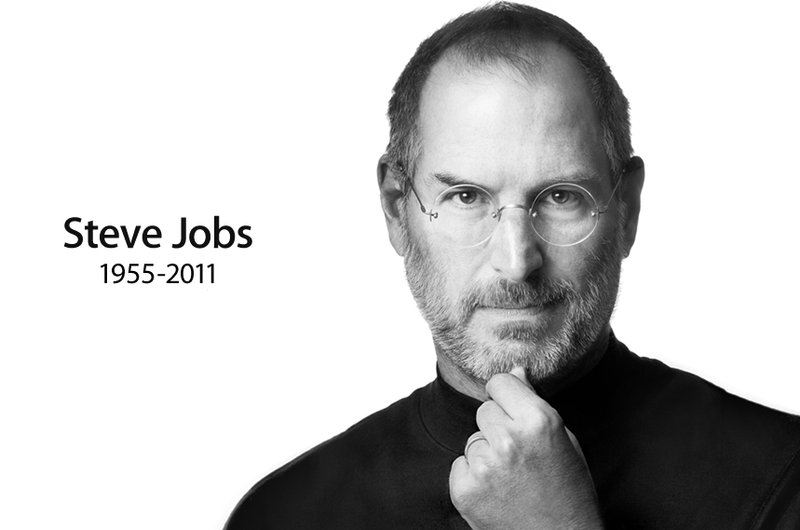 Steve Jobs was brilliant, creative and an amazing innovator. His creations changed our daily lives. He will be missed. Google has added a tribute to Jobs on their homepage.